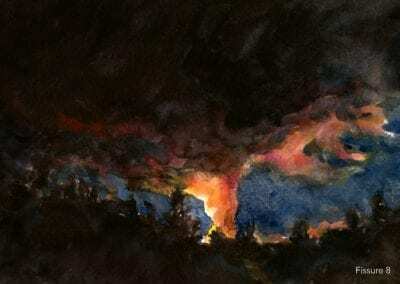 I am a fine artist painter. 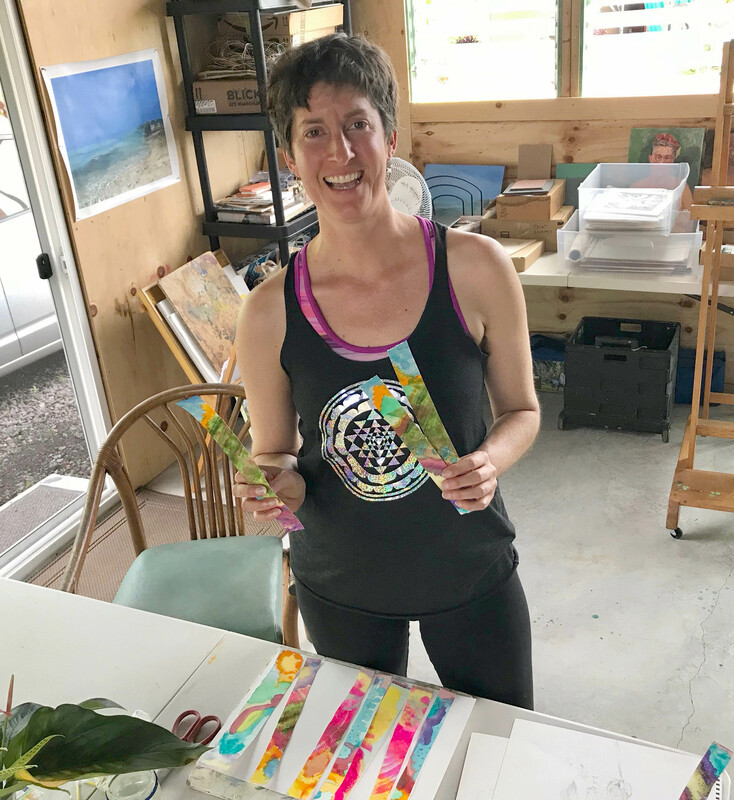 I earned my BFA from SUNY College at Purchase and my MFA in painting from Western Connecticut State University. 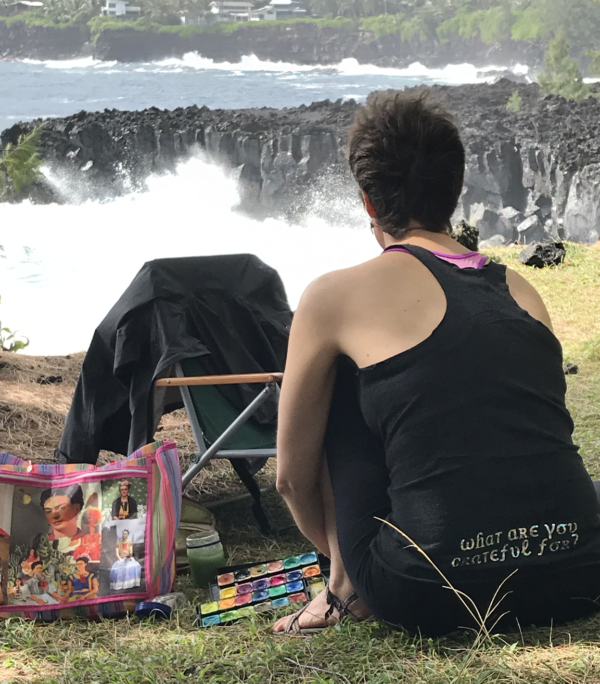 I’m insanely inspired by the Big Island and I’m passionate about sharing this inspiration with others. 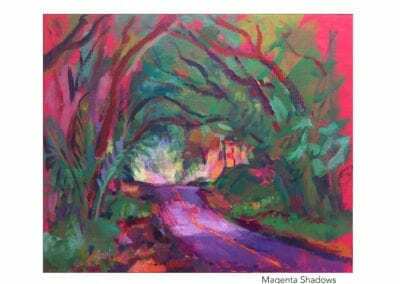 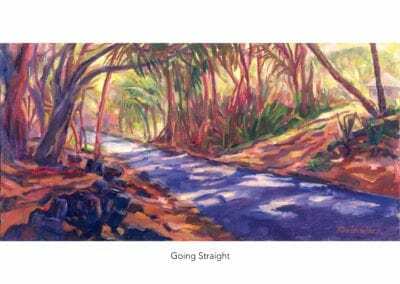 I’ve been painting en pleinair landscapes along the Red Road in Hawaii for nearly 20 years and recently moved here to make Hawaii my home. 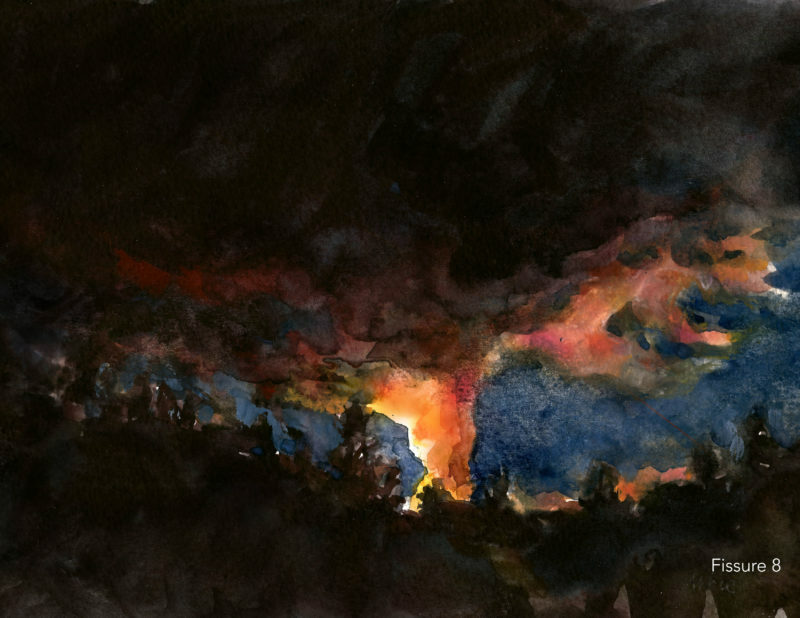 I’m a master watercolorist and painting teacher and enjoy encouraging others to tap into their creative experience. 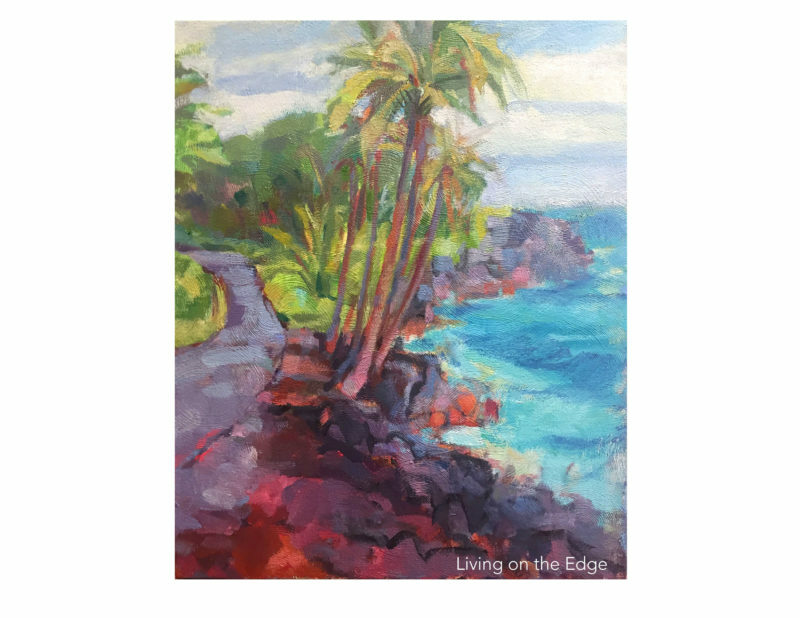 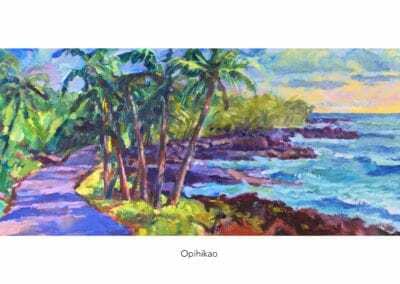 I paint in an expressive, painterly style with focus on landscapes inspired by the Hawaiian tropics. 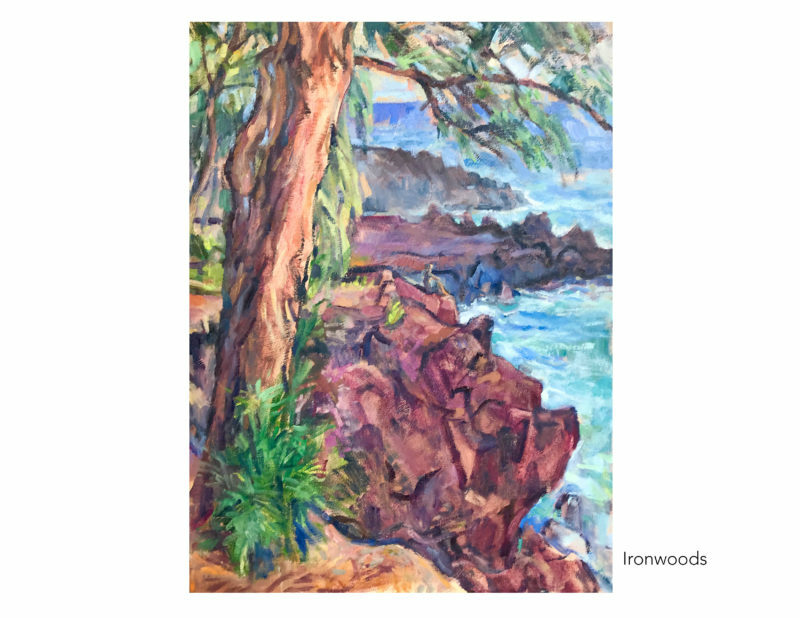 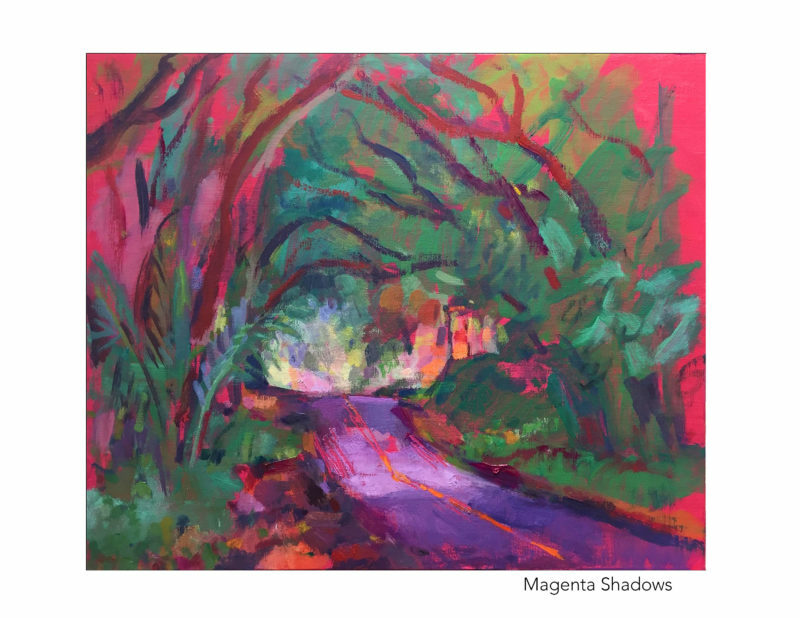 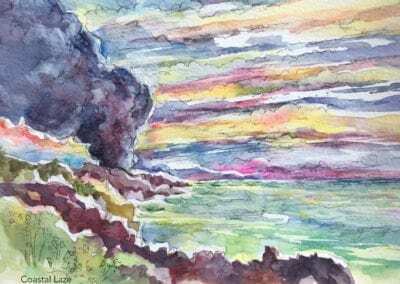 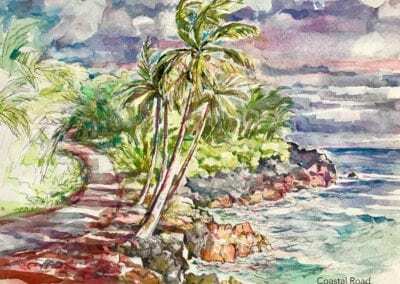 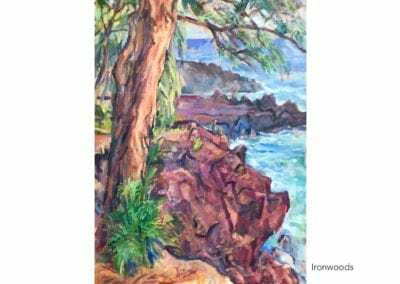 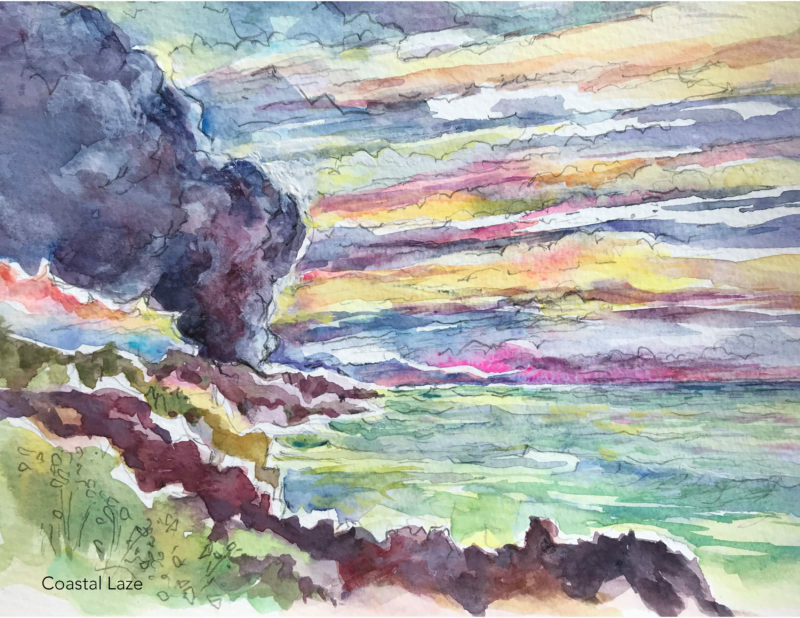 I offer watercolor and abstract painting workshops in my studio in Pahoa and teach as a visiting artist at Hui No’eau Visual Arts Center in Maui. 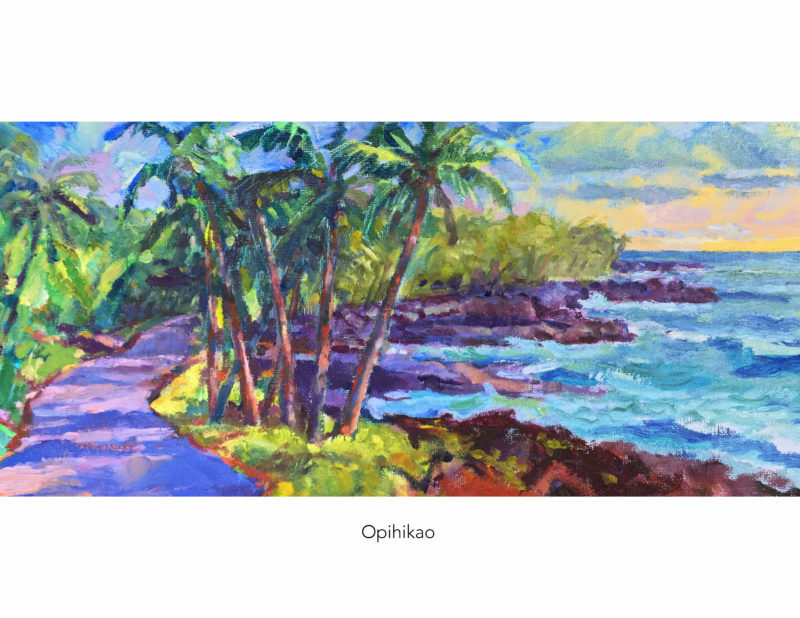 Choose Paintings gallery to view my art. 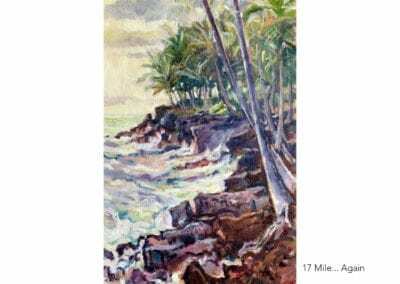 Mahalo for visiting my site. 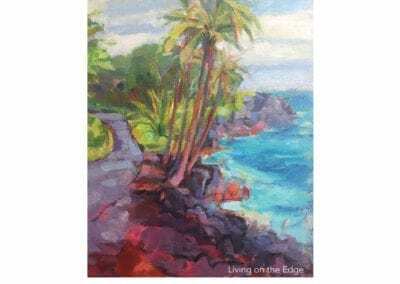 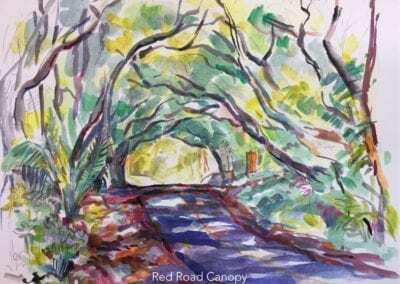 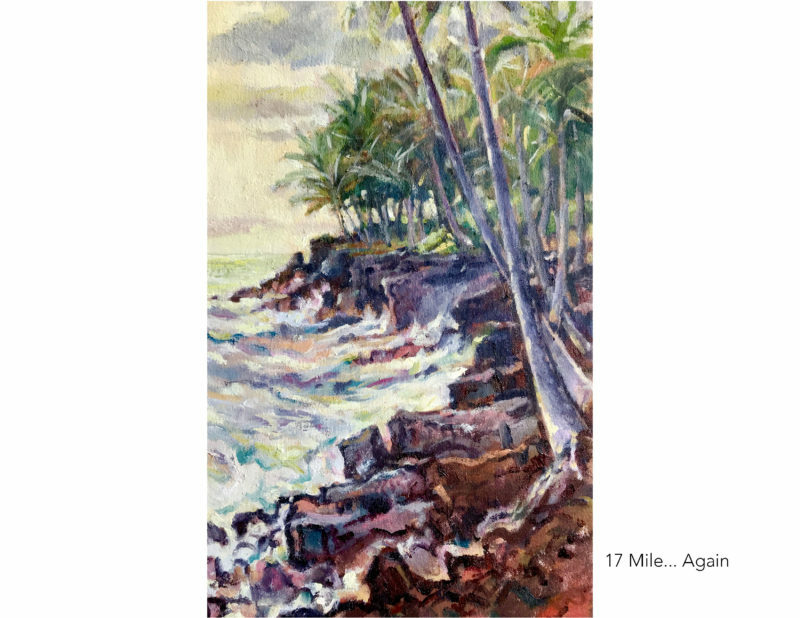 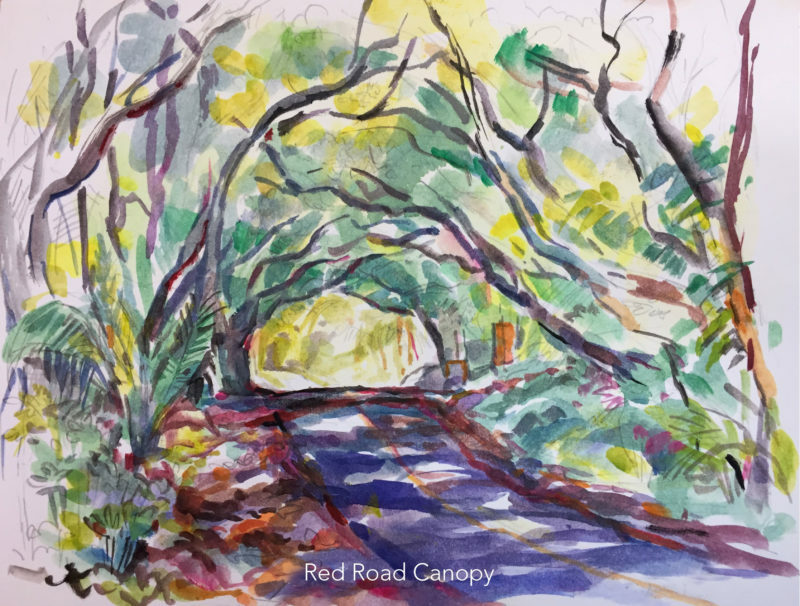 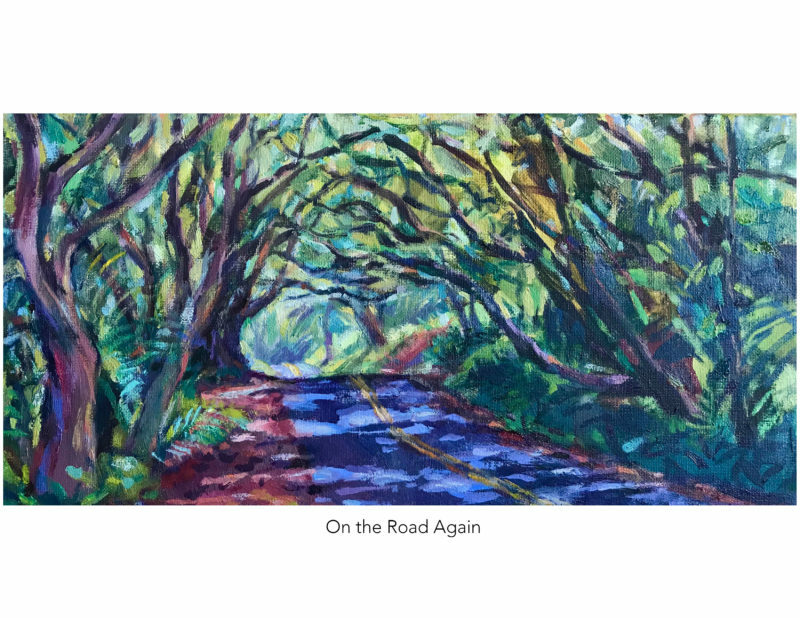 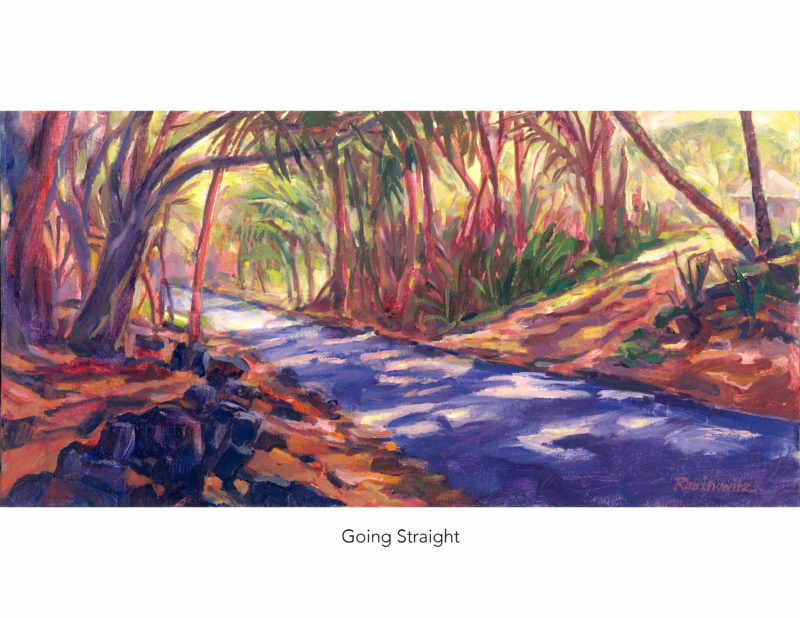 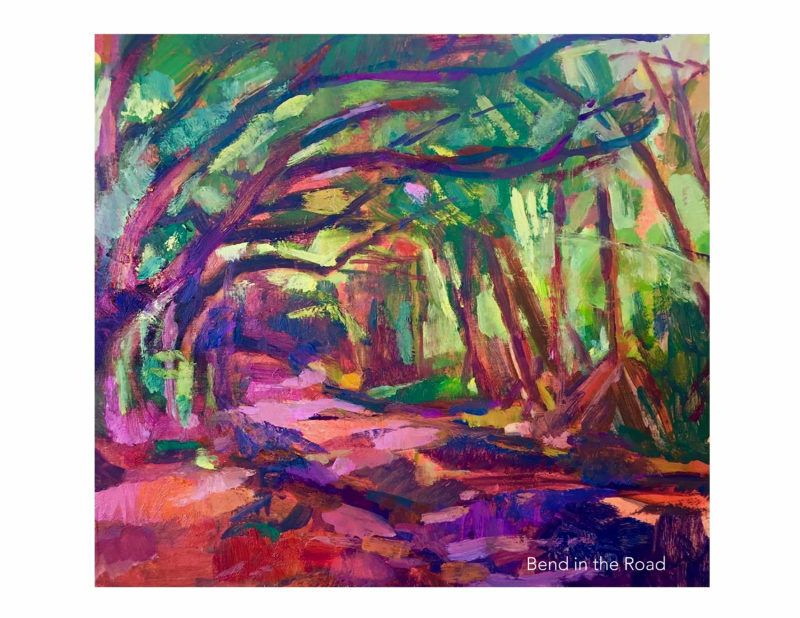 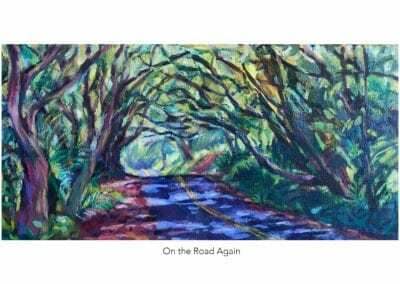 I teach painting workshops in Pahoa, along the scenic Red Road on Big Island of Hawaii. 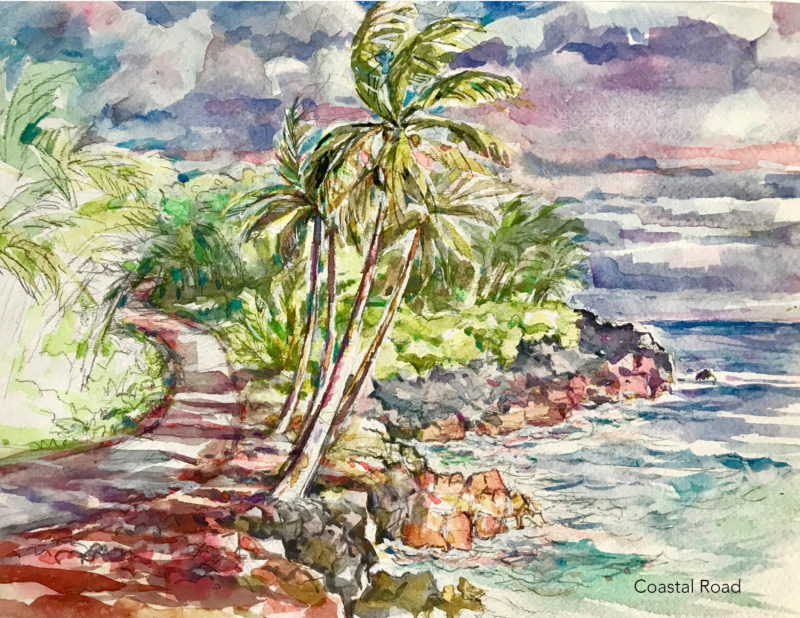 Classes include watercolor, landscape painting, alcohol inks, intuitive abstraction, and collage. 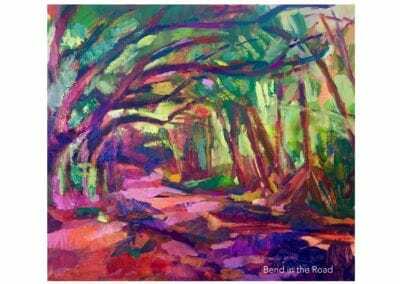 Click Workshops link for details and schedule. 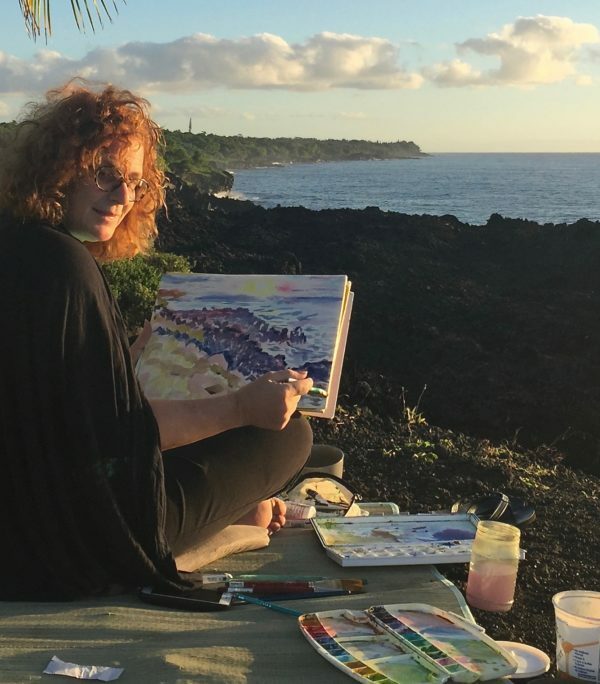 I’m excited that I am able to offer personalized Art Retreats. 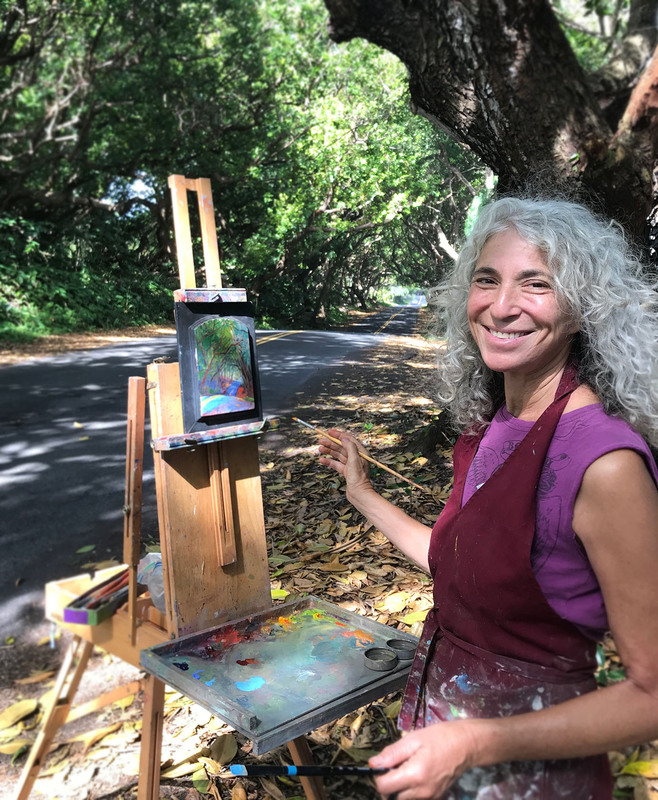 I can provide accommodation for one or two people in a cozy, private ‘ohana’ ~ just steps from a beautiful light-filled art studio and minutes from the famous Red Road along the coast of the Big Island.